(Revelation 21:1) Now I saw a new heaven and a new earth, for the first heaven and the first earth had passed away. Also there was not more sea. “Heaven is God’s domain, and it has all about it the beauty of God’s nature. Heaven is a reflection of God and His nature and character. It is the place where God is most comfortable (He dwells there) and a place where God’s people will find peace and tranquility. What we see on earth is nothing compared to what we will see in heaven”. The author’s comments were not lost on me. In the past few years, many popular books have been written concerning heaven. I really did try to give them a fair shot, only to bow out after it was apparent the author’s “scriptural teaching” on heaven, had become their own ideas on the subject. As I pondered this reality, the Holy Spirit led me to Revelation 21, to meditate on what God’s word reveals about heaven, from that portion of scripture. I am sure, as I already looked forward to and believed in eternity with God in heaven, you probably have as well. You’ll be happy to know, the word of God affirms heaven is for real and is coming to us soon and very soon. Nothing can stop heaven from rolling over the creation as it is constituted, as it is God’s will. Yet what is heaven’s nature, what will it be like, and who will we see? Revelation 21 will aid us in answering these questions, as well as other passages from God’s word. Before jumping into Revelation 21, let’s begin with understanding that heaven is a reality right here and right now, on this earth. This should not to be too difficult a truth for most followers of Jesus to understand, although it is one we readily forget. In Matthew 6:9 Jesus teaches us to pray “Thy kingdom come, Thy will be done, on earth as it is in heaven”. To our Lord Jesus heaven was and is a reality, as it is His eternal dwelling place; for He is God, the Eternal and Living Word (John 1:1-5). 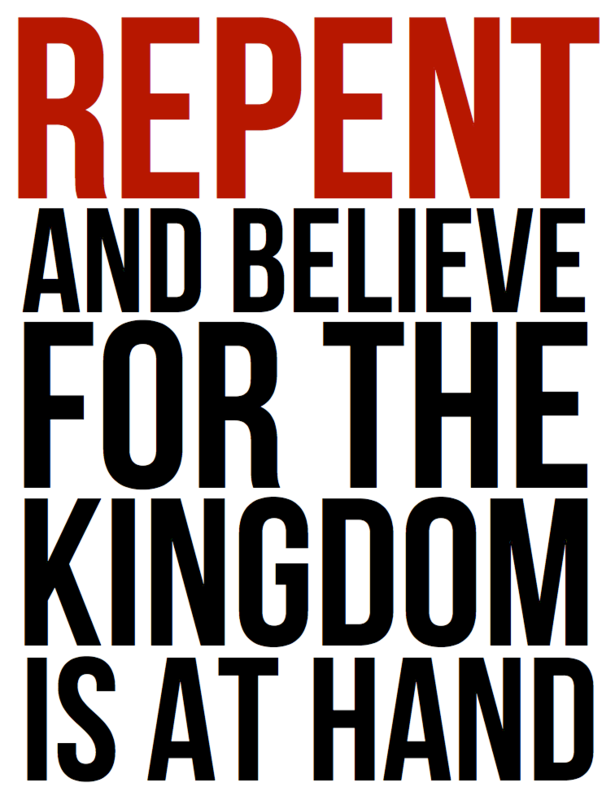 Even in His first message, in Matthew 4:17, Jesus preached that His home had come near to the people, as He declared “Repent for the kingdom of heaven is at hand”. In this declaration we see the King of the kingdom of heaven, declaring the kingdom is coming in its fullness and it had come in some measure in His person. Jesus always spoke as if heaven, which the dwelling place of God and the final abode of the saints with God, was and is real. Yet perhaps one of our best glimpses of heaven, as it is currently constituted, is in II Corinthians 12:2-4 where Paul reveals a vision he had. (II Corinthians 12:2-4) I know a man in Christ who fourteen years ago—whether in the body I do not know, or whether out of the body I do not know, God knows—such a one was caught up to the third heaven. And I know such a man—whether in the body or out of the body I do not know, God knows—how he was caught up into Paradise and heard words inexpressible, which it is not lawful for man to utter”. In reference to the phrase the “third heaven”, we understand it to be the place of God’s dwelling, in Jewish religious language. We see this reiterated in the use of the word “Paradise” as well. In addition to this wonderful glimpse we have portions Hebrews Chapters 7-10 and the 12, which give us a view of Jesus current activities in heaven as our High Priest and Mediator, as well as its inhabitants. Consider Hebrews 12:22-24. (Hebrews 12:22-24) But you have come to Mount Zion and to the city of the living God the heavenly Jerusalem, to and innumerable company of angels, to the general assembly of the church of the firstborn who are registered in heaven, to God the judge of all, to the spirits of just men made perfect, to Jesus the Mediator of a new covenant, and to the blood of the sprinkling that speaks better thing than that of Abel. We are also given a peek into heaven at the martyrdom of Stephen in Acts 7:56 “Look! I see the heavens standing open and the Son of Man standing at the right hand of the throne of God”. It is true that heaven is a place and that it is coming. Yet heaven present with each follower, as we are seated in Christ, right now, and He is enthroned in us by faith (Ephesians 2:4-7, 3:17). This reality is not only a blessed deposit of our eternal home with Christ, but the very Light that is to draw men to repentance. Sadly, the brightness or dimness of heavens reality in our world is controlled by our submission or lack of submission to Christ in us; but that is a discussion for another time. 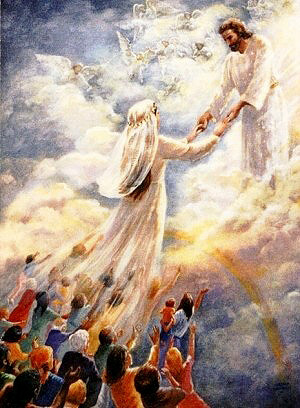 As rich as the reality of heaven right now, the hope of every true follower of Jesus, the Blessed hope, is not just being caught up with Jesus when we are gathered at the rapture of the Church (I Thessalonians 4:13-18; I Corinthians 15:50-54), but culmination of that gathering after Jesus visible return with us, the millennial reign, Gog and Magog, and the final judgment. Of that day II Thessalonians 1:10 declares “When He comes, in that Day, to be glorified in His saints and among all those who believed…” This is when heaven essentially rolls over this physical universe. This is the reality of heaven we are longing for and next time we dive into sights never seen on this side of heaven. Join me! This entry was posted in "Delighting in God", heaven, heaven is for real, Revelation 21, Tozer, Uncategorized. Bookmark the permalink.